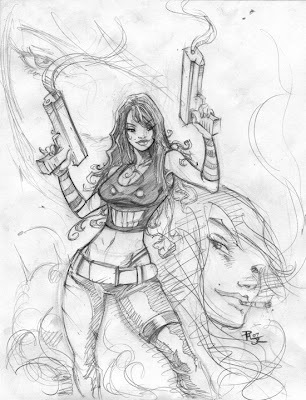 Second piece is inspired by an earlier post of my buddy's: hot chicks with guns. I don't know what's goin on with the girl's shirt, but I just didn't want her to be in a plain shirt. Anyways y'all, I'm out, cuz I'm MADLY tired... enjoy peoples!! Peace!! If only the Black Cat could come to life!